I have added this page because of the number of postings that I have done regarding various parts of the Middle East and the probability that the turmoil in the region will cause me to write more about it than in the past. There may be some overlap with my Iraq and Afghanistan page but I will try to keep this focused on other countries and events in the region. Why the Libyans were able to Overthrow Gaddafi and what We can learn from It: A Lesson from the work of T E Lawrence Published 21 October 2011 What NATO and the United States did right in Libya and a look at Middle East History. Gaddafi is Dead so what happens Now? Published 20 October 2011The death of Moammar Gaddafi and questions of what comes next. Gaddafi’s Götterdämmerung: The End in Tripoli Published 21 August 2011 The fall of Tripoli, the Libyan Rebels drive out Gaddafi. Living in the Bizzaro Post Osama Bin Laden World: Another Denny Crane Moment for Padre Steve Published May 5th after the killing of Osama Bin Laden. A post that is over the top and politically incorrect. Gaddafi Taunts the West and Kills his People: Our inaction speaks so loud he can’t hear a Word that we are Saying Published 11 March 2011 The cost of inaction and the risks of making threats that you do not back up with force. When I wrote this I believed that if nothing was done that Gaddafi or terrorist organizations like Al Qaeda and others could turn this revolt into a regional war. The Guns of March Published 9 March 2011 “War is the unfolding of miscalculations” Barbara Tuchman Libya in the context of the broader Middle East and US Military capabilities. The Iranian Navy in the Mediterranean: Looking for War in all the Right Places Posted February 20th 2011 in response to the Iranian Navy sending ships into the Mediterranean for the first time since 1979. The article discusses the capabilities of the two ships as well as the capabilities of the Israeli Navy and possibilities of war related to the deployment. Damned if you do…Damned if you Don’t: The Middle East Protests and U.S. Foreign Policy Posted 19 February 2011 an examination of the difficulties facing U.S. Foreign policy officials in light of the recent spread of revolution in the Arab World. Danger in the Arabian Gulf: The Fires of Protest Spread to Bahrain Posted 18 February 2011 dealing with the protests in Bahrain, my experiences and observations having travelled there many times. Egypt: As Mysterious as the Sphinx and as Dangerous as a Cobra….What Next? Posted 11 February 2011 as part of a series about the revolution in Egypt prior to the fall of Hosni Mubarak. The Beginning of Chaos in Egypt: Watching and Waiting as the Situation Deteriorates Posted 2 February 2011 as the situation began to deteriorate in Egypt. Walk Like an Egyptian: The Egyptian Revolution and the Radicalization of the Middle East Posted 31 January 2011. An analysis of the probability of the radicalization of the Middle East as revolution spreads. Fighting a World Wide Insurgency: The Problem Fighting Revolutionary Terrorists and Insurgents- Part One Posted 28 September 2010. An analysis of the problems of fighting modern insurgencies. Iran Makes Noise in Persian Gulf: Obama Dispatches Patriots and Ships to Deter Posted 1 February 2010 in response to Iranian threats in the Arabian Gulf. The Anomaly of Operation Desert Storm and Its Consequences Today Posted 3 January 2010 in which I discuss the unique aspects of Operation Desert Storm and how it impacts the American view of war 20 years later. The Afghan War 2009-2012: Lessons from Algeria 1954-1960 A Review of “A Savage War of Peace 30 November 2009. A review of the classic book about the Algerian insurgency and what we can learn from it in Afghanistan. Moslem Allies and Friends Posted 16 November 2009 as a result of some of the attacks on Moslems in the wake of the terrorist act committed by a Moslem Army doctor at Fort Hood. 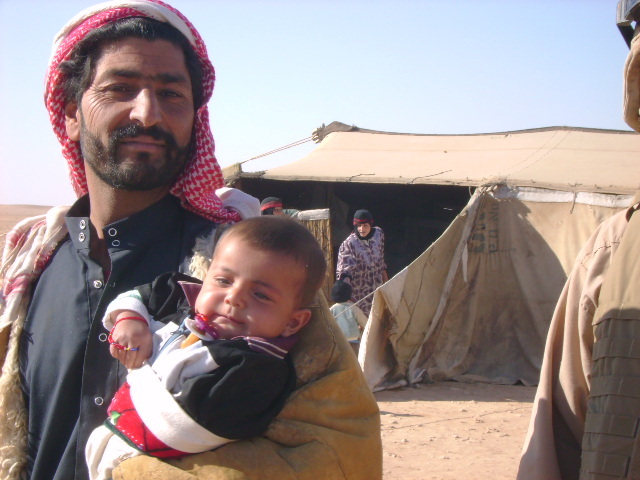 In it I look back at Moslem Iraqis that I served with during my time in Iraq. It is meant to help bring awareness for human rights all over the world. We hope it does just that.